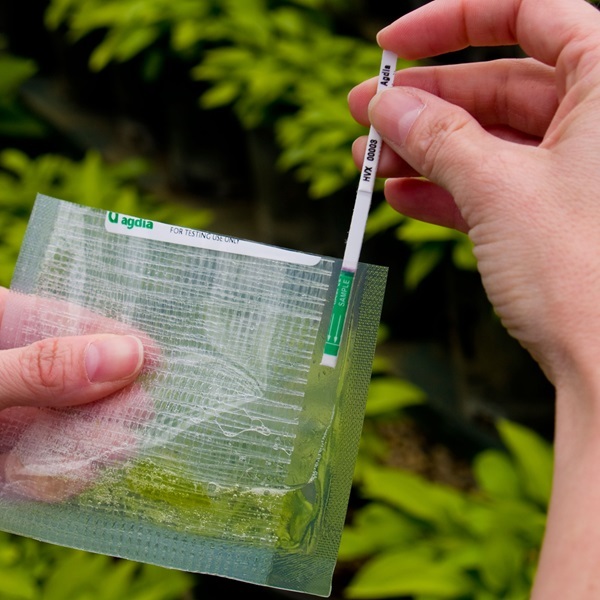 The AltMV / PapMV ImmunoStrip® is an on-site tool validated to detect Alternanthera mosaic virus (AltMV) in ornamental plant species. This assay was tested against and accurately detects the following AltMV isolates: AltMV-SP, AltMV-PA, AltMV-LR, AltMV-GL, PV-1172, PV-0849, PV-0725. More than 80 healthy ornamental hosts were evaluated for diagnostic specificity and no host reactions (false positives) were observed.